I am an American who acquired Polish citizenship. The purpose of this post is to explain the rules of Polish citizenship and how I obtained it. I hope this information will be of value to you. If your a good hardworking, honest person of Polish decent then here is a chance to get the best citizenship in the world, Polish citizenship and prepare for repatriation. Polish citizen by birth – Confirmation by having one parent that is a Polish citizen. This is clear and not a problem no matter where you are born in the world. It is interesting if you were born in Poland but not of Polish blood you might not get a obywatelstwo polskie. 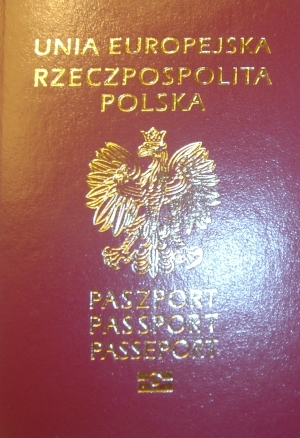 Polish citizenship by naturalization – This is having lived legally with a permanent karta pobytu (Polish green card or visa) for 5 1/2 years in Poland. This can be accelerated by marriage but do not count on it. Polish citizen by descent – If you are Polish blood you are Polish. If your grandfather was Polish, prove it and there is a chance you could get citizenship from Poland. Note is you are from the East like Ukraine or Belurus you can get a Karta Polaka to confirm membership to the Polish nation pretty easy. My simple answer is you have to work for it. It took me a lot of work, but it was fun and the people in the Polish Uzad were great. Poland is a great country and many people want to live in Poland. Therefore, the office of foreigners affairs is over worked with applications. Do not expect to just pick up a citizenship or visa because you are American or have an Aunt that was Polish. Poland is an Eu country and has a rich legal system. It is like trying to get in the USA, it requires work and patience. The law and the constitution connected to who is a Polish citizen gets complex for cases with people that came before Poland was a country. However, because of Polish history who is defined as Polish is based on ancestry rather than boarders. Do some work, do not be lazy, learn Polish (although it is not required it will make your life easier as it is the official language of Poland and the only language they official will speak) and fill out paper. You might need to get official translations of American documents. And no the US embassy does not care you are applying for another citizenship, they will even help you. If you can not get citizenship confirmed because your parents are Polish or if you are not married to a Polish citizen then here are the steps and similar to the steps I followed. Polish nationality is based on jus sanguinis. Make a family tree. Do this in Excel and include dates and citizenship information. Be honest and detail, basically tell your family story. Put together folder for the important people on your family tree. For example get birth certificates of your parents, marriage certificates, baptismal certificates. If you mention that your grandmother had a Polish passport, if you can get it copy it. Show it to the Polish office. I actually had it from 1921. I went to the priest in my family village and got vital records etc. I backed up what I had on my family tree with everything I could. Put it on paper and prove it, even if you have to fly to Poland. The Polish government has great records and will help you. Create your own personal story. Include education, work history. Create a document showing your ability to support yourself via bank accounts and income, tax documents anything. Now create a document stating why you want Polish citizenship and all good things about Poland and what you can do for Poland. These are the pre steps to get Polish citizenship. Next go to the Uząd or Polish consulate and pick up and application ask 1000 questions to the people and keep coming back. I was at the Polish office maybe 100 times, no exaggeration, building a case. The bottom line is citizenship will be based on some law on paper. If they can not trace a direct line of citizenship then, get a green card, as stated in the Polish constitution for Poles around the world. Then build your case even further. With time they can make a case more based on special consideration, than exact transference of Polish citizenship. 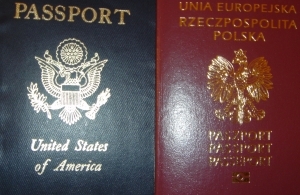 Dual US Polish citizenship – these are my passports – I mostly live in Poland. I am a dual US and Polish citizen. When I am in Poland I enter on my Polish passport and obey Polish law. When I am in the US I enter on my US passport and obey US law. I am responsible for taxes and pay taxes to the USA and Poland. However, because I make a pittance and there is an exclusion allowance it is not a major issue for me (For example, the US allows you to exclude 90k USD foreign income or expats). If I was making six figures it would start to be an issue. Dual citizens are allowed but not recognized by both countries. It means you just have to be a good guy and pay taxes and obey the law and no problems. It is pretty cool having two passports. Although the main document in Poland is a Dowód Osobisty (Republic of Poland identity card) two passports and a draw full of EU and US currencies makes you feel a little like some international many of mystery or Jason Bourne if you will. You will also get a you get a PESEL a NIP and a Nasza Klasa account. You will learn about theses latter. I am very happy and proud that I have a Polish citizenship. Many people say this is an EU citizenship and you can live anywhere. I want to live in Poland. I am waiting for your questions. I am not an expert or a lawyer but I know a lot about the process as I went though it myself. So please leave a question or reply. Am enjoying your web site – and lucky you to live in St Augustine – one of my favorite places in Florida! You have done a remarkable job with the information you have and sharing it with everyone. Mother born in Poland, fled in Sept 1939, time in Siberian labor camp, time in camps in India and Persia (Iraq? ), DP in England with Grandmother and Grandfather. Met my father in England, stayed in Great Britain until sponsored by Polish relatives in U.S. to come to U.S., became naturalized citizen in 1950’s. Grandmother same journey as my mother. became naturalized US citizen in 1950’s. Grandfather served in Polish Army WWI, then WWII, until DP’d in England. became naturalized US citizen in 1950’s. Father born in Poland, enlisted in Polish Army. German POW Camp. Escaped POW camp and continued service in Polish Army. DP in England. Met my mother in England, married her, stayed in Great Britain until sponsored by Polish relatives to come to U.S., became naturalized US citizen in 1950’s. Father’s family was killed by Nazi invasion in Poland – have information on their burial in a monument with other victims in the town where the incident incurred. I have paper trail on all their activity through from Poland thru the U.S. I was born in US and am US citizen. I would love to apply for citizenship – am concerned that they became US Citizens and this will hamper me in becoming a Polish citizen. Is it worth looking into this based on what I have shared with you? Thank you for your time and for the web site. Do you have to volunteer the information that they became US citizenship? I did tell them and that delayed my Citizenship. But ultimately it will not matter, they will find a way with someone of your history. Iam a Canadian living in Canada, but having obtained an American green card in the past, I would say I have some experience with immigration paperwork through going through the hoops with a fiancee visa into the US. I am under the impression that reviving Polish citizenship as a Canadian would be a rather similar process in comparison to an American. My Main question is, although I have done some research on obtaining my Polish citizenship I have gabs of information on the proper paper work that is needed. My father was born and raised in Poland and migrated to Canada during Poland’s communist years, were soon after I was born. Though my father has recently passed-away and now I do not know if I am able to retain the probed paper work of his Polish citizenship. Do you believe there still is an opportunity for me to be eligible for Polish Citizenship?..What do you recommend?.. Thanx. In the Polish Uzad they will have all the information. You have to find out where your father was born. The actual embassy will do much of the leg work for you if you provide them all the specifics of your father’s birth. I think it would be fairly easy for you as your father was a Polish citizen. My mothers family is from Poland. I was born in 1964 in Canada, while my mother was born in Lublin in 1942. I do have a wallet card that was issued to my mother in 1973 when she got Canadian citizenship under her married name. A letter though not dated or signed by my grandfather states that he got Canadian citizenship in 1959 (and he states the number as well). I have her certificate stating she got baptized in Dec. 1951 and it gives her date of birth and country. A copy of the original document issued from the Inter, Refugee Org. has her date of birth, photo and has her mothers’ photo, name and date of birth. This document has an official stamp from Immigration Canada saying Landed Immigrant and provides a date of Jan. 25, 1951. Then I have a little booklet that was issued from the Health Org. with my mothers’ photo, name and date of birth in it. But here is part of the clincher, while I may not have her original birth certificate or an official reissue, I do have a document that is in English that was witnessed by 2 people of Polish Nationality in front of a P.D.R. Agent in Munsingen, Germany. This document while not specifically dated states my mothers’ date of birth as 1942, birthplace as Lublin, Poland and her nationality as Polish and her residence as being the DP Center in Munsingen. On the inhabitants registry from Schelklingen, Germany dated Sept. 1946 mentions her birth date and place of birth as being 1942 and in Lublin. Then there is a letter that is signed by my grandfather and is dated in 1942 and provides an address in Lublin. In it he is apparently requesting some kind of id card for my aunt. Prior to Sept. 1949 my grandmother was married to someone else. Then with some assistance from my grandfather, she got an annulment and married again in November 1949. While I may not have an official statement from the church with the date of the annulment, I do know when and where it was granted. I do have an official copy of when she was first married and to whom. I seriously doubt that while my grandparents lived in Germany from Sept. 1946 to Dec. 1950 obtained German citizenship. What are your thoughts for my claim? I tried to put everything into order to give you an idea of my situation. You seem, to be very detailed and I think you have a very good chance, but though grandparents it is harder to keep the line though the male, which citizenship passed at the time. My recommendation is document everything you can and do the application. Hi Mark! Thanks for answering everyone’s questions. You are so kind to do so. My maternal grandmother was from Poland. She was living in Austria with my grandfather (who had Austrian citizenship but whose parents were from Poland as well) up until 1939 due to the holocaust. When my grandmother was living in Austria, she never gave up her Polish citizenship. My mother was born in the US during the 1940’s. I would now like to try to get EU citizenship through either Austria or Poland. It looks unlikely that I will be able to go through Austria as their birth right goes through the male line (unless you are born after 1983). Do you think I could apply for Polish citizenship through my grandmother? Luckily, we have her birth certificate and many documents. Would my mother have become a Polish citizen before me? Lastly, do you happen to know if it’s frowned upon to apply for citizenship for more than one EU country at the same time? I thought we might take a stab and apply for Austria and Poland at the same time, to see which one pans out. I believe my mother might get Austrian citizenship even if I may not. I recently joined 23andme and found several polish relatives. It’s really neat! Thanks for the kind words. Basically you could apply for all the EU countries if you had justification to. They are all independent evens. I think since it is your grandparents it will be harder, I lived in Poland during the application process. Citizenship does pass though the male in those times. I would try with the Polish embassy and plead your case. You have right to apply, and they will do the investigative work for you if you line up the documents and facts. Yes apply to Austria as well. But I think they are more strict. 23andme is super, I am having a lot of fun with it and there is a firefox plugin that will help you with the health data, its free. Thank you sir. Will give it a try and I have my fingers crossed. Am dealing with someone in Warsaw that deals with citizenship issues now. My grandfather was born in Poznan. In 1940 he was shipped off to the Gulags for a year. He then traveled with Andears Army (spelt incorrectly) through the middle east all the way through to North Africa. He then went to England and enlisted into the Polish 308 fighter squadron. After the war had ended he could not return to Poland and migrated to Australia. He never renounced his citizenship. None of my parents have Polish citizenship. Am I able to get Polish citizenship? If it was your paternal grandfather it will be easier. If it was your maternal grandfather you will have to do with with an appeal because the way the laws were written at the time. So I would contact the Polish embassy and get the process started. Hi I am married with Polish nationality, but since married we lived in UK. We already married for 4 years. Can I apply for polish passports without have to live in Poland? At the moment I hold UK residence card for 5 years. My nationality is Indonesian. I really need some info about this, thanks for the help. Were you born in Poland or your parents, I need more information. My grandfather is of Polish descent. As a child He left his home to get a loaf of bread and was taken by soldiers. Him and several other boys escaped and hid under a train for 10 days until the train ended up in France. He then enrolled in the French army until he moved to Canada and married my grandmother. My father was born in Canada and still has to renew his green card. I guess my question is, is there a way to verify my grandfathers citizenship? He was a child. I even asked my father if he had changed the spelling of our last name because I heard people used to switch letters around for some reason but he assured me no that it was his birth name. I was not raised around my father or even with a Polish background but I have always felt a comfort in my research of my nationality. It has always been my favorite type of food since I started cooking at 9. I would love to raise our children to be family oriented, hard working and away from the American way of life. Thanks so much for you time. Find the town he was born in and get his birth certificate. Sounds hard but it is easy. I would fly there, that is what I did but you can hire someone to do it in Poland. The general region would do and narrow it down. The Polish government will help with the research. After that you just tie your relationship to him with legal documents. It can be done I did this and it takes time but worth it for your family, your a good person to do this. My great grandparents both came to USA from Poland, my relatives have records and such for them, would copies of the necessary documents and records suffice or do I need to provide originals? You need to put together a well documented case with a full history and legal documents in the original and make a case but I think you could get a visa and live there and then citizenship as it is many generations removed. My mother is currently applying for Polish citizenship from the US, all four of her grandparents were born there. Do you know how she should go about hiring someone in Poland to obtain a birth certificate for her? Also, I am wondering if you know what my situation would be if she is successful in gaining citizenship. Would I be able to obtain citizenship on the grounds that I have at least one parent who has citizenship? She has to write the Urząd Miasta in the town she was born and they can obtain it for her. The Polish government will do this, you just have to contact them. You should be able to get Polish citizenship no problem if you were born to a Polish parent. Thank you for your generosity in sharing your experience of this process. I’m an American-born US citizen of Polish ancestry on my mother’s side. Her father was born in the US in 1904 of Polish parents and he returned with them to Poland in about 1907. He came back to live in the US sometime in 1922 and was here until his passing. I assume my grandfather was granted Polish citizenship in 1921 by virtue of his residence there and his decent, and I know I need to find documentation proving his residence, but provided I get that, in theory, do you think I have a pretty solid claim to citizenship by decent? FWIW, my mother’s mother is also of Polish ancestry, but she was born in Germany in 1910 and was naturalized in the US sometime in the 1920’s. I think you have a solid case for a permanent visa to Poland, the right to live and work in Poland (and potentially the EU). This will subsequently become citizenship after living in Poland for a few years. This is what I did. To trace the citizenship line along the males in your family (that was the law at the time) to you, would be more difficult from a legal perspective. The Polish government can research that for you if you take the time to fill out the application for citizenship. If they deny you, they will give you the best options to achieve citizenship or at least a visa or Green-card to Poland. It has a lot of benefits. I am an EU citizen because I am a Polish citizen and so is our daughter. Can you imagine the profound positive benefits, it is better than holding a degree from a top university in my view. So although it is work it might be work pursuing. I am writing my case for guidance, I am from Venezuela my grandparents were Polish, served in the army, I have a copy of his military record and appears written an identification number that looks Dowód osobisty, as I find it really be this number, Poles need to find documents to prove my nationality. I am try searching for birth certificates and do not appear in the books. My grandfather was born in 1908 in Radom. Is there a way in a census or something to see that number? 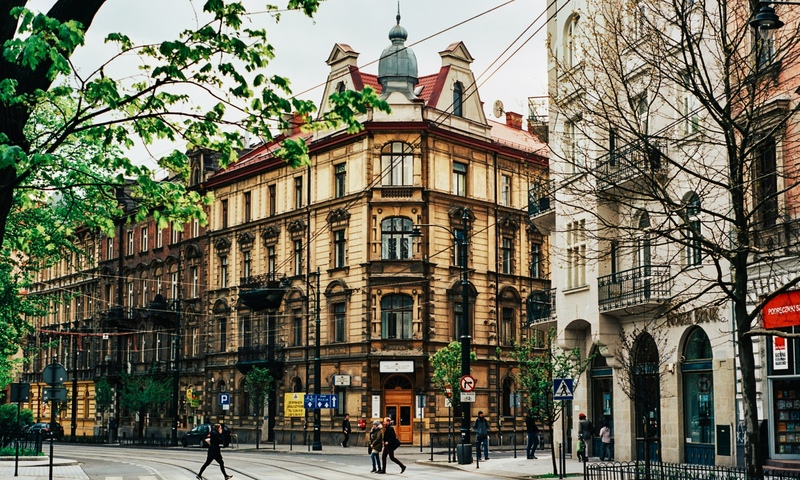 Easy solution, you must contact the Uzad in Poland in Radom, or the office of foreigners affairs. They will have the birth records going back as far as you can imagine. You need to get someone to help you there and take the steps yourself to call them or pay someone to help you. Can I go to Poland on temporary visa and join the Army as a means of gaining citizenship? You need to be a Polish citizen to be in the military and you would have to speak the language. So I would say no to joining the military as a path to citizenship. If you are a US citizen I would no serve under any government or military as it would put your loyalty in question and complicate legal matters. Poland does not have the equivalent of the French foreign legion. Wow, I have been through the process, (a huge file, lots of money and time).., trying to obtain Polish citizenship through my Maternal grandmother who was a polish citizen until 1954 when she became American. My grandfather took his citizenship to America in the 1930’s. I understood that I was seeking citizenship through my grandmother and wasn’t concerned about the 1920 immigration law about his citizenship. after 8 months, I receive a question that asks me if he served in the US military. and a document proving either way. they ask “if it is possible”. I am stuck not knowing how to answer. Because he is my Maternal grandfather and my maternal grandmother? My questions: Why are they asking and how do I answer? I don’t want to answer wrong now that I am reading that the Paternal grandfather takes preference over my maternal grandmother? Why can’t I just become a citizen by my grandmother? Where is the written law that says its the Paternal grandfather? If I just say I don’t have it will that disqualify me? I am stuck and I only have until October to respond. Citizenship passes via the male based on the laws of the time, it was like that in most countries in Europe during those time. It will depend on your grandmothers life, if she got remarried or took citizenship of another country. I would just be perfectly honest. It took me years even when I volunteered information I should not have to slow the process. Better is always be honest and if you are determined they will see this and help you. At least it worked in my case. I plan to apply for Polish citizenship based on the fact that both of my parents were born in Poland (I was born in the US). I have a bunch of questions about the process. I’d appreciate any assistance you can offer. When I submit original documents, do I get any of them back? It says that any forms in English need to be translated and verified by a consul. How does that happen? Do I just bring the forms to the consulate and they do it there? How do I know that I have submitted enough evidence to prove my parents’ citizenship? I’m not clear on what is the strongest evidence I should strive to provide. Do they need my parent’s marriage certificate, even if it was in the United States? It asks for documents about my employment or achievements? What do they want, pay stubs, a resume? How does my income affect my application? (Can my income be too low)? How might they use the information about what political party I support? Should I answer this? You will have no problem getting confirmed as a citizen. Could be a matter of months. Do not worry about income, has no impact in your case. Do not worry about political party as long as you are not something really extreme. They need copies of everything even if from the USA. Do not send the originals,call the state you were born and they were married and the state will send you an original copy. The main thing is call the embassy and they will guide you with this. You will get citizenship and it is worth it. Thanks for your comment about trying to confirm Polish citizenship because my parents were from Poland. I called the consulate and they said that even if I have my parent’s birth certificate from Poland, it isn’t enough proof to say she was a citizen of Poland (because Poland doesn’t grant citizenship based on where you are born). They said I should try to find my parent’s Polish passport. I don’t think I can find that (my parents are deceased). I’m concerned I might not have enough “proof.” The consulate was not helpful on what other kinds of evidence will count. What is your experience with this? I think you need to do what I did, build a case. You need to research and document and even go to Poland or hire people, go to the church records as well as government records. I think you talked to the wrong person at the embassy. Most people never get a passport, that does not make them unconfirmed citizens. Your parents needed to travel with a Polish passport and someone has a record of that. I worked very hard to document my case over years, including some wrong turns. I would start with finding people who are related to you in the towns where they are from and document this. I would hire someone to advise you, it will be worth it. Let me know how this turns out. Thanks. If you have any suggestions on who to hire or what is a reasonable price for such help, I would appreciate it. My mom is in the process of confirming Polish citizenship and it is taking a long time. How long did it take you to get confirmation of Polish citizenship when you were staying in Poland? Would it be worth my while to fly to Poland and apply for confirmation in Poland, or do I need to be patient and do it through the embassy? My friend got it in three months but that was ten years ago, and I got it in three years. We had vastly different circumstances. His parents were born in Poland while it was my grandparents. So I think you should wait and be patient as if you are going for confirmation rather than repatriation (like I did) the time frame is solely depended on the backlog they have in the Polish office for citizenship. Hi. My father was born in a DP camp in Regensburg in 1949. My Polish grandparents came with him to the U.S. (and possibly another of my uncles) around 1954. My father served in the U.S. military, sometime between probably 1967 and 1971. All of these relatives are deceased now. I would like to get Polish citizenship. I’ve been told I need my father’s birth certificate. Where can I get this? Do I need to talk to Germany or a German consulate? I read the birth certificates in Poland were probably destroyed by the Nazis. Is there any chance I will find any pertinent records? I have some uncles I can ask, but we don’t talk much. My grandmother did visit Poland every year for years before she died. This would have been the 90’s to late 90’s and before 2004. We still have family in Poland. My grandfather gave me the address of some family there before he died. Is there any hope for me to attain Polish citizenship? 🙂 It’s my dream to one day go there or possibly live there. You should have no problem getting a Polish visa based on your bloodline. You have to contact the office of foreigners in Poland. Hi! Thanks for this informative site! Dzienkuje! I live in the USA. All 4 of my paternal and maternal grandparents came to the USA from Poland in the 1890s. Only my paternal grandfather became a US Citizen. My parents were born in the USA in the 1920s and are US citizens. My grandparents and parents spoke Polish at home. I was born in the USA, and attend a Polish-American Catholic Church, the one where I grew up. I speak some Polish, but need practice for sure. I remember my prayers in Polish though 🙂 Our family observes Polish customs for Christmas and Easter, cooks Polish dishes, and more. I would like to obtain dual citizenship (USA and Poland). Does this sound like I might have a chance to do so? I’m married to a man with no Polish ancestry. If I received Polish citizenship (becoming a dual citizen) and wished to move to Poland, would he be able, as my spouse, to move with me? Could my husband get dual citizenship because of our marriage, or is a separate process needed? Perhaps he can get a green card from Poland and become a citizen later? Your spouse can live with you even if you are on a green card. The Polish government does not want to seperate families. It is just a matter of doing the paperwork and you will have no problem living in Poland.